Some cute stuff to share today! 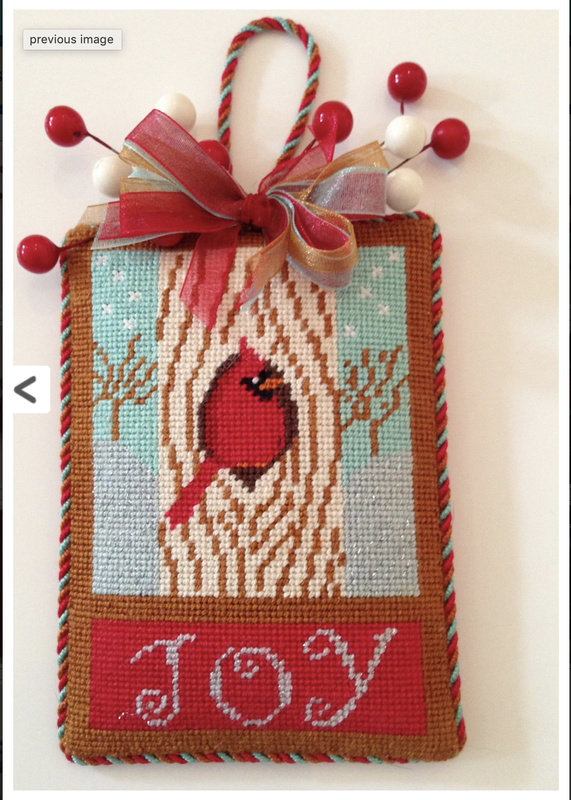 First up is my "Joy Cardinal" finished up with a cute berry sprig! Thanks to Labors of Love Needlepoint Shop for the photo. 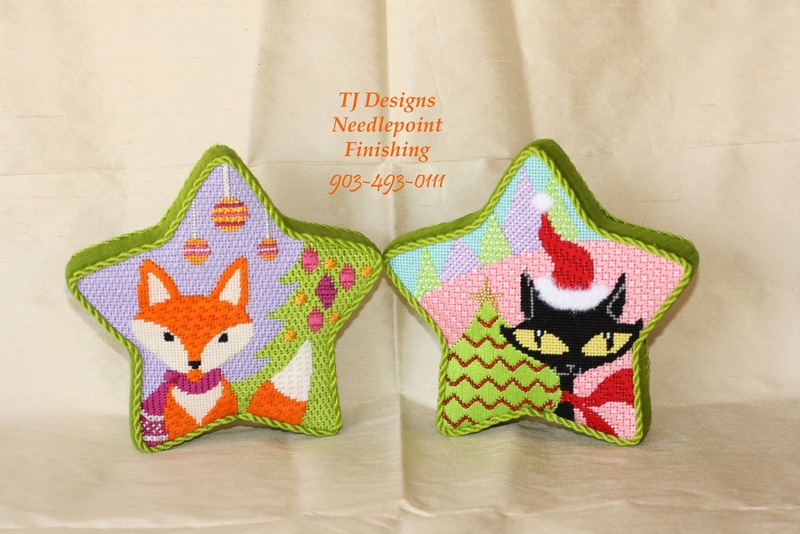 TJ always does a great job finishing my Christmas Star series, these were stitched by my friend Courtney M! 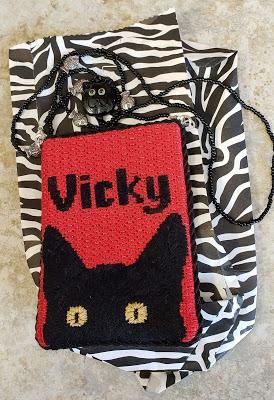 This is a custom name tag I painted for my friend Pat, stitched by her for our friend Vicky D. Pat sent it to TJ for the basic finish, then she added the great beaded strap! I Have My Own Things Back From The Finisher! Trunk Show This Month At The Needlepointer!